As luck would have it, it was a very cold night for the kickoff reception and dinner at the 13th Annual Anderson Valley Aromatic White Wine Festival hosted by the Anderson Valley Winegrowers Association. However, it was under the warmth of a heater, accompanied by delicious wine and food, where the two Elizabeths, one from Philo and one from Napa, would first meet and discuss the magic of their name, which comes from the Hebrew word, elīsheba`, meaning God is my oath. The next day, Napa Elizabeth entered the festival’s grand tasting, and before her very eyes stood Philo Elizabeth (also known as Alisa or Ali Nemo) and her partner, winemaker André DuVigneaud (Andy), who beckoned her to taste two of the rieslings from Bee Hunter Wine, their winemaking project featuring a range of whites, a rosé, and reds from the hidden gem vineyards of Mendocino and Sonoma Counties. Like a bee is always hunting for the perfect garden, Bee Hunter, a word from Boonville’s own language dialect, Boontling, is always searching for lesser-known, sustainable, organic, and biodynamic vineyards from which to source their grapes. Napa Elizabeth’s mission: to find the festival’s perfect pairing for their 2015 Wiley Vineyard Riesling ($24), whose slight effervescence gave it a unique Pét-Nat or cider quality. She buzzed around the room (pun intended), stumbling up on the small plates prepared and served by Boont Berry Farm Store, which featured locally sourced foods like smoked salmon, turkey, avocado, mushroom, sweet onion, and cranberry. The winner: the plate that Andy fondly called “deconstructed Thanksgiving”, featuring the turkey, onions, mushroom, and cranberry cream cheese spread. Better grab this wine for your Thanksgiving table before it is gone. The two Elizabeths would reunite that evening at Bee Hunter’s pop-up tasting at Aquarelle Catering & Events in Boonville. Napa Elizabeth tasted through their available portfolio and could not get enough, so returned once again the next day to discover that not only is Andy a winemaker, but he is a chef, making his own brisket sliders and BBQ tacos, surprising those who ventured in to taste. He made a special-order plate for Napa Elizabeth that fit her wellness lifestyle. The wine pairing: Bee Hunter’s take on Bordeaux, the Yorkville Highlands blend of 50% cabernet sauvignon and 50% merlot ($48), which showed off its higher-terrain terroir in unison with the rich, fatty brisket. Napa Elizabeth was sad to depart Boonville, but Philo Elizabeth said that she and Andy would be in Napa soon, the following Thursday, in fact, and the two reunited for a wine club pickup at Mumm Napa. As they said goodbye, Philo Elizabeth handed Napa Elizabeth two open samples, the 2014 Bee Hunter Mendocino Pinot Noir ($48) and the 2014 Oppenlander Vineyard Pinot Noir ($60). She returned home to taste with her cat, Einstein, by her side, and spoke to Philo Elizabeth and Andy via telephone the next day to get the rest of the story. As always, your palate may vary. With grapes sourced from three vineyards in Mendocino County – Wiley, Docker, and Oppenlander – this wine is aged 20 months in a mix of 20-25% new, tighter grain, French oak barrels, and the remainder used one to four vintages. This oak regime, longer extraction time, and a blend of vineyard sources renders this wine very fruit forward and aromatic, a delight for even the most sensitive wine drinkers. A light garnet color in the glass, this wine shows juicy, sweet berry fruit like black cherry on the front of the palate, finishing with a tart berry mélange of redcurrant and cranberry with a backdrop of black tea. Made the same as the previous wine, but sourced from one vineyard, Oppenlander Vineyard, located just north of Anderson Valley and east of the coast, but close enough to enjoy the cool, foggy coastal influence, this pinot noir is the dark and brooding sibling to the Mendocino. A medium garnet in the glass, this wine is creamier, more weighty on the palate, and reveals an intense, brambly fruit profile of blackberry, blackcurrant, and black raspberry. The zingy acidity and spice are notable, the latter of which reminded me of my favorite cinnamon tea. If you spend any time with Philo Elizabeth and Andy, you may hear this wine referred to as “Guns & Kittens”, a throwback to their first vintage meeting with the growers in their 1860-era farmhouse and its plethora of vineyard kittens and 30 long guns, which precariously found themselves together in a closet during this fateful visit. The following year, one of the vineyard kittens, Baxter, found a home with Philo Elizabeth and Andy, joining family members Cleo and Puff. Thankfully for us, this is only the beautiful beginning of the tale of two Elizabeths and Bee Hunter Wine. Visit their website, where you can purchase wine, learn about their Bee Hunter Brand Ambassadorship program, book a tasting event, or become a Bee Hunter club member yourself. Stay tuned and always bee huntin’. I was recently asked to contribute a movie or television wine moment to a recent Snooth article, Wine in the Movies and on TV, and being the hopeless romantic that I am, my immediate choice was French Kiss, a longtime favorite movie. 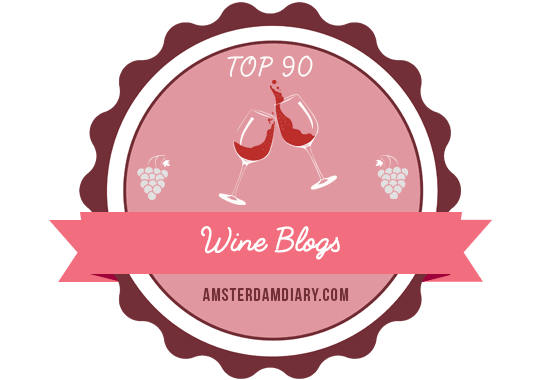 Once upon a time, I sat down at my computer to publish another post when I realized, “Oh crap, #MWWC33 (Monthly Wine Writing Challenge #33) is due! I have no idea about what to write!” I finished my original post and while doing so, I realized I have something weighing on my mind and it’s something I’ve been thinking about for a while now. As some of you know, I have lost 75 pounds and eight clothing sizes, as of this post, since September 12, 2016, by working out five or six days per week at Fit Body Boot Camp Napa and by following a meal plan outline. Alcohol is not a part of the plan, of course. I also recently began a new website, Boot Camp Babe, to share my experience and to inspire others. There, I wrote a post entitled, About the wine…, which chronicles my history with wine, its integral part in my life, and its correlation to my weight gain these past eight or so years. During these past nine months, I have cut my wine consumption tremendously. Prior to this, I was one of those people who came home from work and opened a bottle of wine a few nights per week to accompany my dinner and to relax. I also work at a winery in the Napa Valley as a wine club and social media manager, so wine is my career. I used to attend many wine and food events, accept lots of wine samples, and went wine tasting often. Now I only drink wine occasionally, such as when I am celebrating a special occasion, when I go out to a nice dinner (not always, but sometimes), or have a friend over. I maybe have wine a couple of times per month. I taste wine sparingly, spitting and dumping most of it, and I am being more selective regarding acceptance of wine samples. It’s not that I don’t enjoy wine, but frankly, I feel amazing without it. At my annual physical in April, my vitals and blood work results were outstanding. I love how I feel after a workout. Before, I was consuming hundreds and hundreds of calories in wine and now I prefer my calories to be solid, not liquid. Interestingly, I think my palate is changing as well due to both my dietary changes and decreased wine intake. When I do indulge, my go-to wines are Champagne and sparkling wines. I also lean towards crisp, clean, preferably unoaked or neutral oak aged, higher-acid whites and rosés. Heavily oaked, higher-alcohol red wines feel and taste too heavy. One final observation is that I feel somewhat disconnected from my wine writing and social media peers because I no longer participate frequently in virtual tastings, nor do I post lots of wine photos and reviews like I used to do. I’ve even had someone tell me that I am not as fun anymore. I have to admit, that hurt. I am still the same person inside, but with less weight and wine in my life. I am not denying myself anything, I am making dietary and workout choices that make me a better person in every way, inside and out. I have also broadened my connections and friendships to include fitness-minded people like me. I am healthy, happy, strong, and yes, fun. As you can imagine, this poses a dilemma for me. Am I still qualified to write about wine if I don’t taste or drink it as often? Do I continue this website? I hope that you will help me answer some of these questions in the comments below. This is my entry for Monthly Wine Writing Challenge #32 (#MWWC32), as described at this link. Voting begins Tuesday, April 25, 2017, and ends Monday, May 1, 2017, at the Monthly Wine Writing Challenge website. I never used to be a procrastinator until I started participating in the Monthly Wine Writing Challenge. After a lifetime as a classic overachiever, perhaps I am starting to relax. Or, perhaps it’s because I see the challenge word and go blank until the very last minute. As I type this, I am still blank, but I am going to write something to keep my streak alive. When I think of the word translation, I am immediately taken back to my college days. More specifically, I am transported back to Aix-en-Provence, France, and I am sitting in my summer abroad French Translation class at The University of Provence, now part of Aix-Marseille University. I was only 21 years old. The class was held in the afternoon after a grueling morning of other classes. Honestly, it was all I could do to get through this very intense class. It was extremely difficult and the evening homework was long, tedious, and hard as hell. However, the professor was fantastic. She, my classmates, and I often went out after class, as if we didn’t have hours of homework to do every night, and had drinks and bites at various local bars and cafés in Aix. It was during these tasting experiences that I really began to enjoy French wine, especially local wines. I didn’t know anything about wine, but I liked what I drank. After our post-class outings, we returned to campus for dinner in the cafeteria. When I first arrived in Aix-en-Provence, I became very ill drinking from the pitchers of water in the cafeteria that were left for us daily. I will never forget that day. I had attended all of my classes through the late afternoon when it hit me about halfway back to our dormitory. I had to run, not walk, and it seemed like the longest run of my life. I made it, but I vowed from that point forward to only drink wine with lunch and dinner. My wine experiences in Aix were turning points towards my enjoyment of wine, not just to avoid water, but as a true beverage choice. Shortly thereafter, as we traveled by bus from Aix-en-Provence back to Paris, I would have my first real wine experience in Beaune. Although I no longer teach French, my previous career, the language has proved to be very helpful in my wine career, especially when it comes to the translation and understanding of wine labels, wine-related vocabulary, research, and publications. I often revisit this journey and of course, hindsight is 20/20. I truly believe that this study abroad experience in France was where my passion for all things French converged with a blossoming passion for wine. As life would have it, it would take many years for wine to move to the forefront and French to go into remission. Regretfully, I rarely have the opportunity to speak French or travel to France. I haven’t traveled there since 2005. I would love to visit France from a wine professional’s perspective. Now I find myself in transition again as I follow my latest passion, health and fitness. I’ve lost 64 pounds in seven months through a high-intensity interval training workout and meal plan. I believe that there is an ebb and flow when it comes to life’s passions, and that they co-exist, but either take center stage or persist in the background. It remains to be seen how my love of wine will translate into my current mind and body transformation.